Abstract: Second Language Testing for Student Evaluation and Classroom Research and its accompanying Student Workbook are introductory-level resources for classroom teachers of all levels of experience, and early-career graduate students in applied linguistics, TESOL, and second/foreign language teaching programs. The book gives a balance between practice and theory for student evaluation, and also aims for readers to use testing to connect to classroom research and to their own teaching. Indeed, Second Language Testing for Student Evaluation and Classroom Research aims at self-discovery and empowerment for readers, even as second language testing as a field undergoes major shifts in scope and areas of concern. 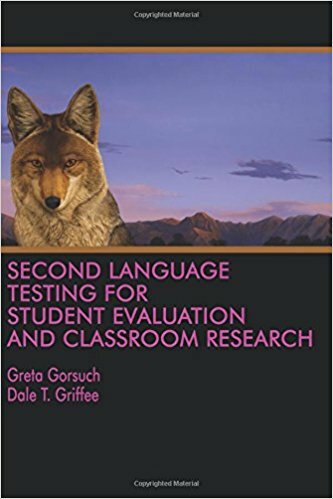 Second Language Testing offer a strong basis for readers who wish to analyze and improve their own classroom tests, and for readers who wish to evaluate standardized tests they are required to use, or are thinking of using. We work with the general idea, “OK, now that I know test X has these strengths and weaknesses, what do I do?” Or, “Alright here are students’ scores, now how do I use them in my teaching?” At the same time our book provides more in-depth treatments of key testing topics for those readers who want to know “Why?” and “How?” “Why these terms?” “Why this or that analysis?” “Why does it work?” “How does it work?” “What do these numbers mean?” “How do I use them and how do I explain them to my students, my colleagues, my supervisors?” Second Language Testing for Student Evaluation and Classroom Research includes five Appendices for those readers whose interests continue into more advanced areas. Our information and observations on issues such as rater training (Appendix B) are current and discerning, and our Reference section and Glossary would be valued by any advanced testing practitioner or researcher. Second Language Testing is useful to readers at varied levels of engagement, at their choice.